Choosing the right spring manufacturer is vital for the durability, strength, and integrity of your newly purchased springs. In the automotive industry, these qualities are critical to ensuring the maximum performance of the vehicles your company produces. Choosing the right manufacturer also has a lot to do with your purchasing experience and the cost and time savings you’ll receive. 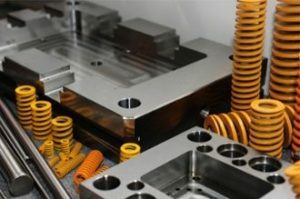 If you’re looking for a spring manufacturer, use these tips to guarantee that you make the right choice. In the automotive industry, quality springs are those that have the required levels of strength and durability to withstand the pressures and loads being placed on them for the long run. You don’t want to place springs in your vehicles that are going to rust, break, or wear quickly. This isn’t good for business, nor is it safe. Purchasing bad springs can occur if you don’t choose a manufacturer that prioritizes quality. Look for a supplier that uses top-of-the-line equipment, machinery, and technology. Look for a supplier that doesn’t cheap out on materials just to save a few bucks. Look for a spring manufacturer that truly cares about quality—and puts quality ahead of personal financial gain. Your industry is unique. And you need a spring manufacturer that understands the precise quality, durability, and safety needs that your company is going to have when purchasing new springs. Your ideal supplier will serve other clients in the automotive industry and understand exactly what you need in your new springs. Designing springs is a complex task. There are a lot of factors to consider, and the calculations must be exact—down to the fraction of the millimetre. And these are not things that you, a purchasing manager, should be an expert in. You need to be able to rely on your supplier to provide guidance, recommendations, and advice in order to ensure that the springs you purchase will be perfect for your application. Your supplier should be able to tell you which material to use, which size to design, and which coating you should consider based on your unique application. These decisions shouldn’t be left to you alone. Your ideal spring manufacturer will understand the importance of providing a level of customer service that is second to none. You will naturally have a lot of questions and concerns when it comes to your spring purchase. And you will likely want to be kept informed every step of the way—from the design stage to invoicing, packaging, and shipping. You need to choose a spring manufacturer that will always be there to hear you out, answer your questions, and meet your needs. You can’t afford to work with a supplier that is never around when you need him. Ideally, you should choose a spring supplier that is in close proximity to you. This will provide you with several benefits that you might not have considered. When you choose a domestic manufacturer, you’ll be able to perform quality control checks during the manufacturing process or pop in if you need to go over the design blueprints, pick up samples for testing, or for any other reason. Plus, your lead times and shipping costs will be significantly lower when you choose a domestic supplier rather than one that is based overseas. You won’t have to risk your shipment being stuck at customs or stuck in another country due to weather or conflict. Choosing the right spring manufacturer is an important task for any purchasing manager in the automotive industry. The quality of your purchase and your purchasing experience depends on it. Choose a supplier that has top-quality products, spring expertise, experience in your industry, and excellent customer service. Additionally, choosing a domestic supplier over an overseas manufacturer can provide you with added benefits as well.